Yesterday we had European Parliament Election Day in The Netherlands. 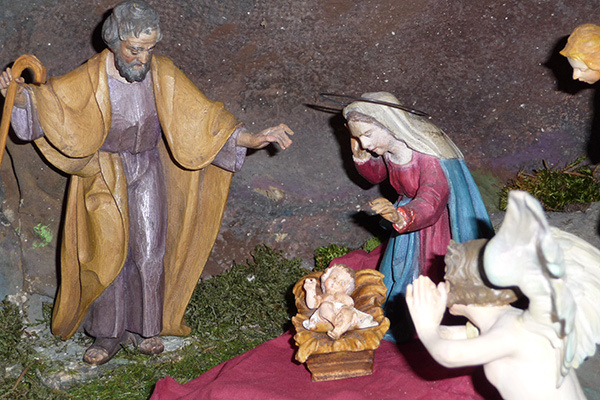 The elections are held on several days in all the countries forming the European Communions. Sunday is the last voting day and somewhere Sunday night we will know who will be chosen as one of the very well paid European Parliamentarians. 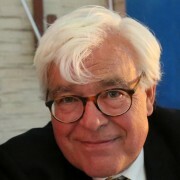 Why would I share with you that this Celebrity Hotelier voted in the European Parliament election? When voting a couple of years ago you were only allowed to vote in the voting locale in your direct neighborhood. If you wanted to vote elsewhere, you had to apply for a special permit to do so. Nowadays, as The Hague Counsel decided in it wisdom you don’t have to vote in a voting locale in your neighborhood anymore, it is fun to seek out a more colorful voting locale than a classroom in a school in the neighborhood. 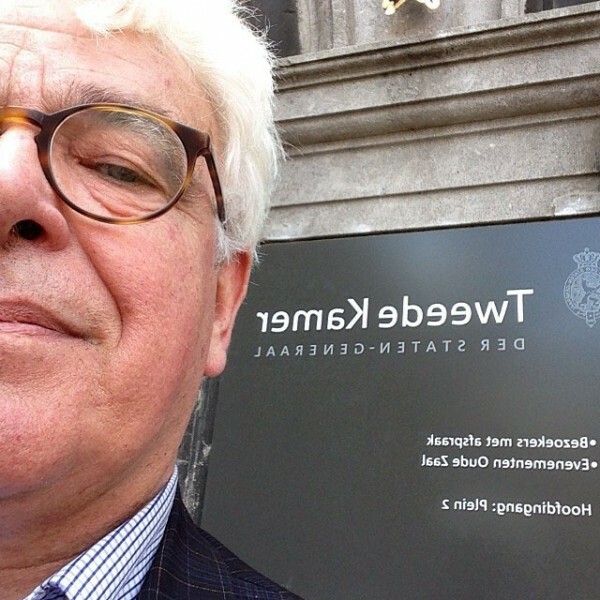 I found out Dutch Parliament has its own voting locale so I choose that one. Actually only as a retired hotelier I’m getting used to an Apple Smartphone. Until recently I was entirely satisfied with my Blackberry. As a new Apple user I cannot forego on the recent hype of selfies. Since I have my IPhone I’m making more and more of them, boring at least my family and maybe also my other readers. Jus tell me. 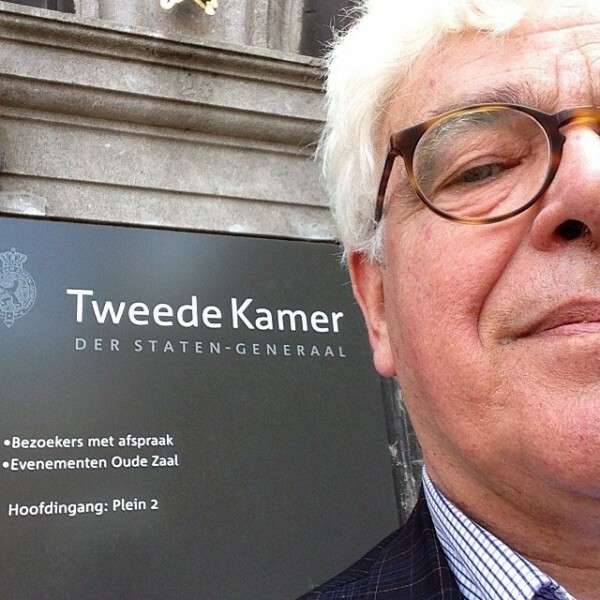 However a voting selfie was subject of a recent court case here in The Netherlands: There were those that contended that selfies should be forbidden in the voting locales as people could be pressed to sell their votes and use the selfie as a proof of their voting. In addition it would be harmful for the peoples privacy…..Note only the second photo (the mirror one seems to be a true selfie. A twitter friend pointed me to a French site Tendance Hotellerie that found out Booking.com is the sole candidate to distribute the dot.hotels top level domain when ICANN signs off on Booking.com’s application. If that will be the case, it is clear to me that other hotels or hotel chains will not be able to obtain any .hotels extension anymore, because I simply doubt that when Booking.com B.V. gets the registrant status It will grant any hotel chain a .hotels extension. This seems not in line with the aims of ICANN with the new TLD’s to offer the users more choice, more competition and to make the internet more transparent. Here is the application of Booking.com B.V.
geographic names (country names, city names, names of regions, etc.). delegating and using these domain names….. It is clear for instance hilton.hotels will be registered by booking.com B.V. and not be available for Hilton to register…. Yes! As an independent hotel owner I object and I will file an objection. 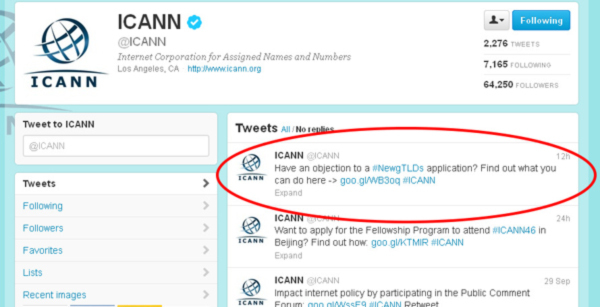 By coincidence ICAN’s Twitter account @ICANN mentioned a link to file objections today. Objections can be filed on several grounds. 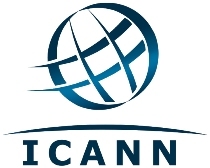 Here is a Icann Brochure that makes it a bit more clear. How could SOPA affect the Independent Hotelier? SOPA stands for Stop Online Piracy Act. Currently US Congress and Senate are considering this act together with the The Protect IP Act with hearings and all for enactment. I’m an independent Hotelier based in Europe. So I only have a slight understanding of all of their implications and ramifications, but I understand Internet giants like Google and Facebook are (among others) heavily lobbying against these two bills. Why would that be? When enacted copyright holders can via very simple measures (a writ to a hosting company) have bad websites cut off from the Internet. Furthermore financial institutions like banks and credit card companies could by the same sort of simple measure to be forced to cut off the bad guys from their income. Now Google is noteworthy for scraping copyrighted material like photos from everybody’s website and regurgitating same for the “better of search results”. 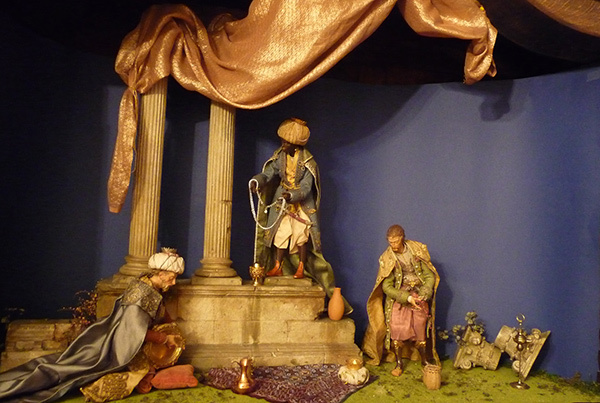 FaceBook does it in a slightly different way: It lets its members publish copyrighted material. Can I now simply force Google to delete any photo material of my hotel I have the copyright to? Can I force their ISP to cut them off? Can I force their banks to cut their financial resources? Take this one step further: Online Travel Agents do sometimes scrape copyrighted material. Tripadvisor may do it. Groupon like sites may do it. Can I as an independent Hotelier force all these power houses from the Internet? I know, I’m just dreaming of a more organic Internet that is not dominated by search giants or OTA’s, but sometimes it is nice to dream off. My 2 cents. And your’s? Author gjePosted on November 18, 2011 February 28, 2016 Categories Hosting, Hoteliers, Hotels, Internet, Marketing, News, Websites1 Comment on How could SOPA affect the Independent Hotelier? I might misunderstand the term, but in marketing and distribution the term Long Tail is frequently used to give the small independent entrepreneur or the small independent blogger like me hope to be able to earn a piece of the huge internet cake. Chris Anderson is usually attributed the term Long Tail. But there is this very old post that stems from before Chris’ article. Almost two years ago I used the term “Celebrity Hotelier” in a post here to see if I could crank my visibility up. It was a success. Soon afterward I got confirmation from various sides that Google (Big Bro) picked me up as a Celebrity Hotelier. 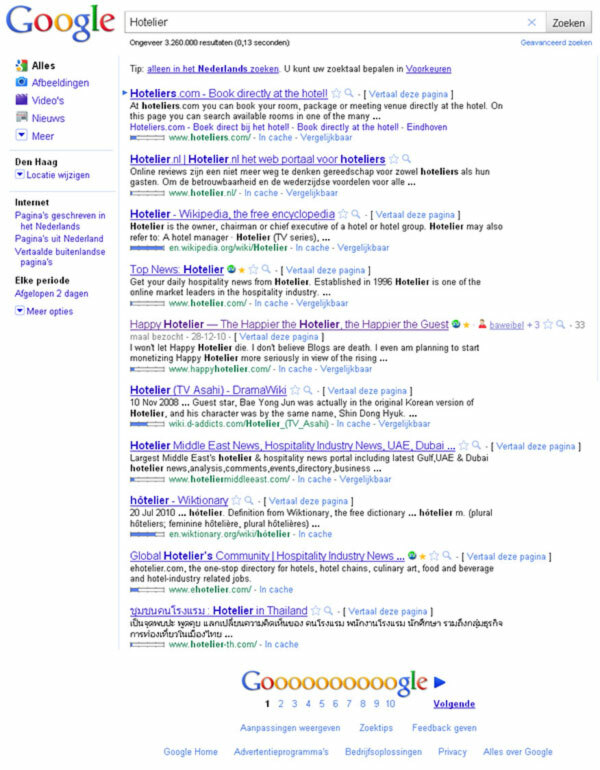 Big Bro even granted me frist page result for the search term Hotelier. I’m still ranking as number 1 (and number 2) on page 1 for the term Celebrity Hotelier. Quite possible I’m not able to circumvent the local search result algorithm of Big Bro, and that the conclusion is different from different parts of the world, would love to receive some feedback here. Can Long mean Long time ago as well? I am an architecture student in London. Last year I did a student design project set in Naples, which included a fictional character under the title ‘hotelier’. I needed an face for the character, so i typed ‘hotelier’ into google and found your picture. 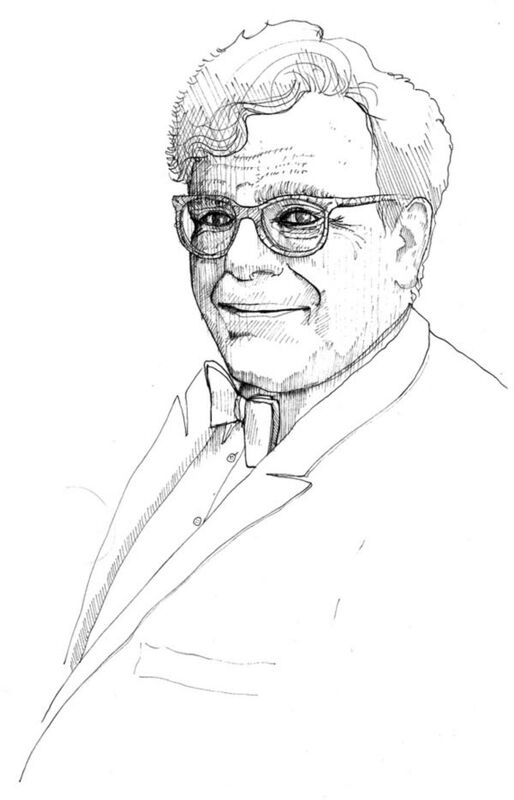 I then did a pen drawing of the photograph for coherence of presentation… which I thought I would pass on! The very photo of the earlier post worked into a drawing. Thanks Mate! I know I may have stretched the term Long Tail a bit, but I found it funny this all came back after such a long time, especially in internet metrics where all seems focussed on here and now only…and may help defend my position. In addition I also note that a Stumble by my blogging friend Barbara Weibel (@holeinthedonut) of A Hole in the Donut bears some influence on Big Bro as well. The courtyard with private parking space and the breakfast room at your left. Here it is clear that the old part of the building is really old. 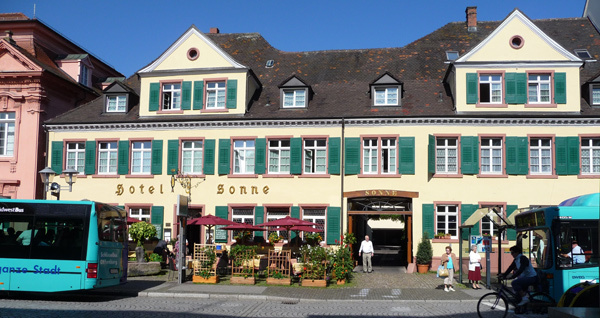 You may know that I’ve frequently visited Hotel Sonne in Offenburg, Germany. 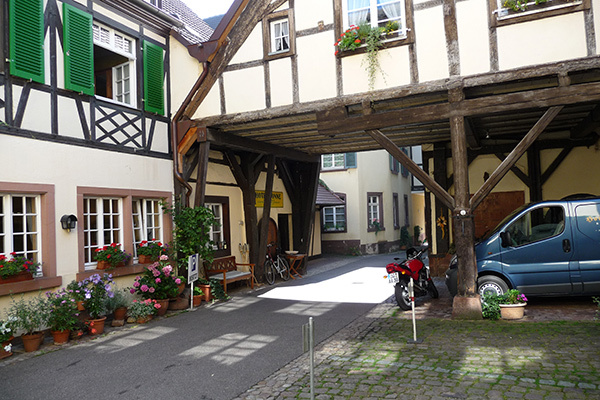 The hotel is operated by Gabi and her husband Horst. However the father and mother of Gabi, Helmut and Brigitte, who must be well in their 80ies still help their daughter out almost every day. The same family operating this hotel already for over 150 years. In my prior review I’ve just showed one photo. 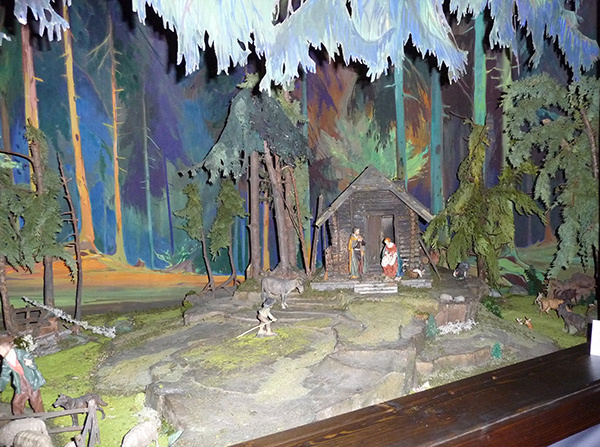 Here I have some more, also to point you to their little secret: One forebear of Brigitte loved to collect little wooden figures and loved to make showpieces of them, mostly with Nativity as subject. Time permitting Brigitte will love to show them to you. 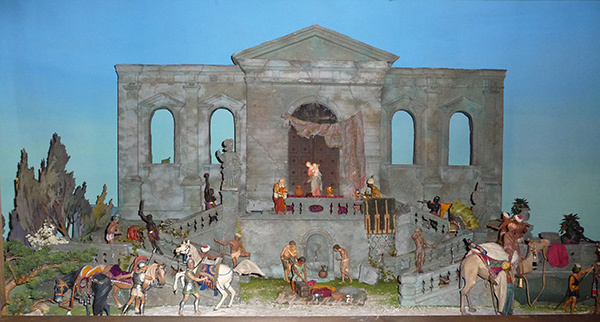 They occupy a couple of their hotel rooms, but soon they will disappear as the hotel rooms will be refurbished in due course and be added to their inventory.